A love of cooking and entertaining prompted a young couple with small children to create a bright, welcoming space that features timeless architectural details. 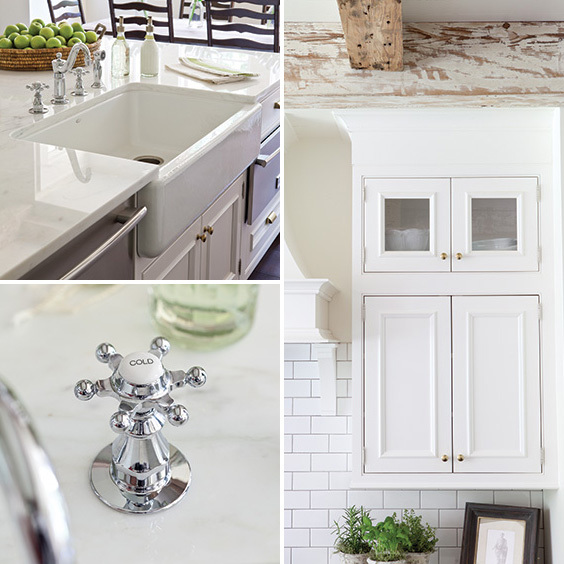 Shades of cream and white for the cabinetry, furniture, and walls lend a modern but timeless appeal to the kitchen and provide the perfect backdrop for bright seasonal accessories and décor. 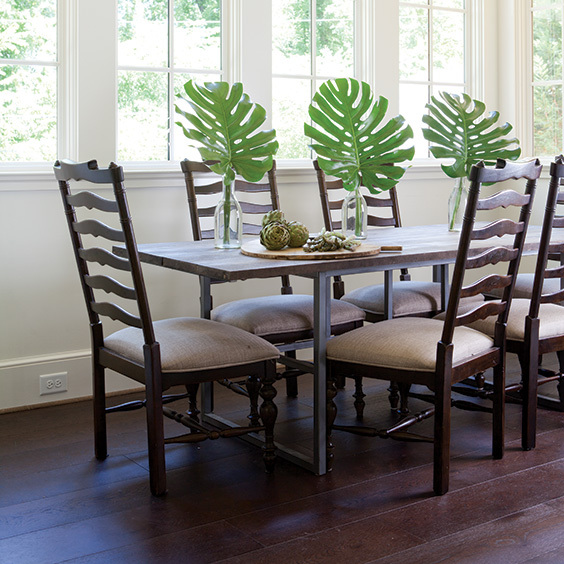 The homeowners were driven to create a unique space for family meals and entertaining extended family and friends. Numerous windows flood the space with natural light and allow the adults to look out over the outdoor living room and into the backyard where their children often play while meals are being prepared. 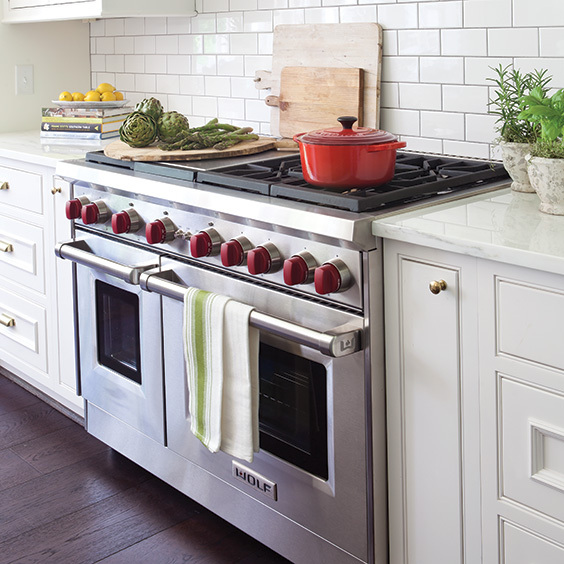 This dual-fuel range features a versatile side oven that allows for baking several dishes at once, as well as a five-burner cooktop that accommodates even the largest skillet or griddle. A tucked-away spice cabinet leaves nothing amiss and everything close at hand. The clean canvas of the white subway tile backsplash beautifully coordinates with the subtle gold tones in the marble countertops and cream-colored furniture upholstery. We love to highlight fresh herbs in the kitchen. 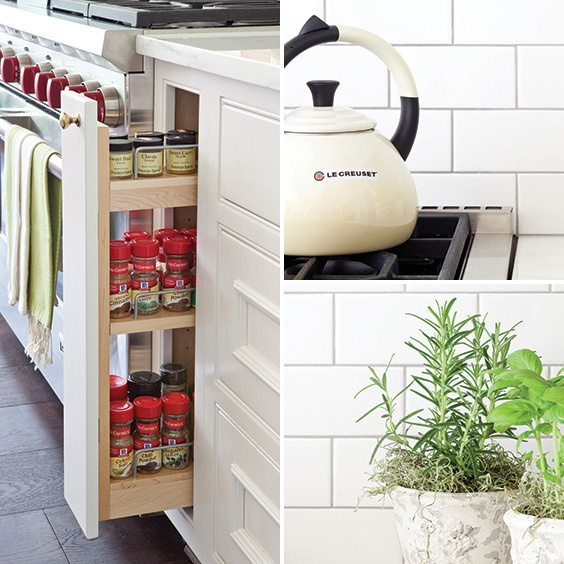 The upkeep is easy, and they add a great natural element to your kitchen. A large, deep apron-front sink and dishwasher are just steps away from the kitchen table, making meal cleanup fast and easy. The homeowners chose plumbing fixtures in a classic design with a durable finish that stands up to heavy use. 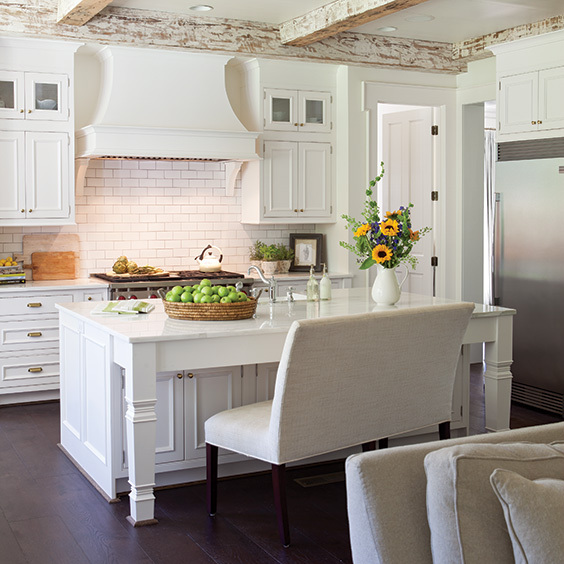 The exposed, whitewashed heart-pine ceiling beams add character and height to the space. 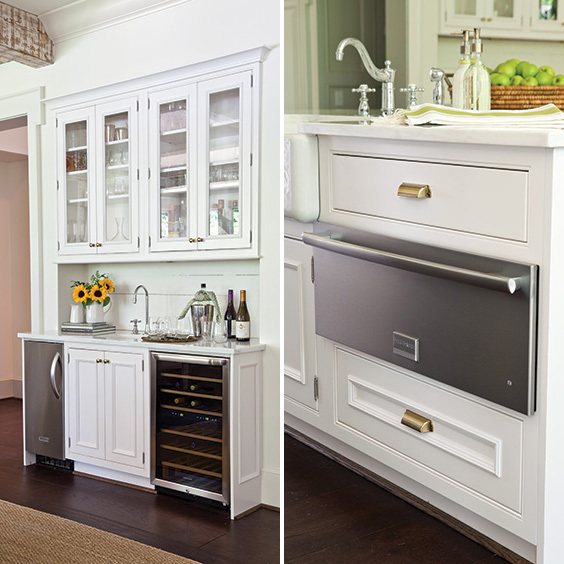 Cocktails come together quickly at this beautiful wet bar that houses an icemaker, wine cooler, and plenty of storage for glasses, mixers, and other supplies. Warming drawers are a great time saver in the kitchen. 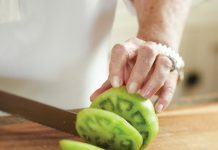 Dishes can be prepped in advance and ready for busy families and party guests alike.